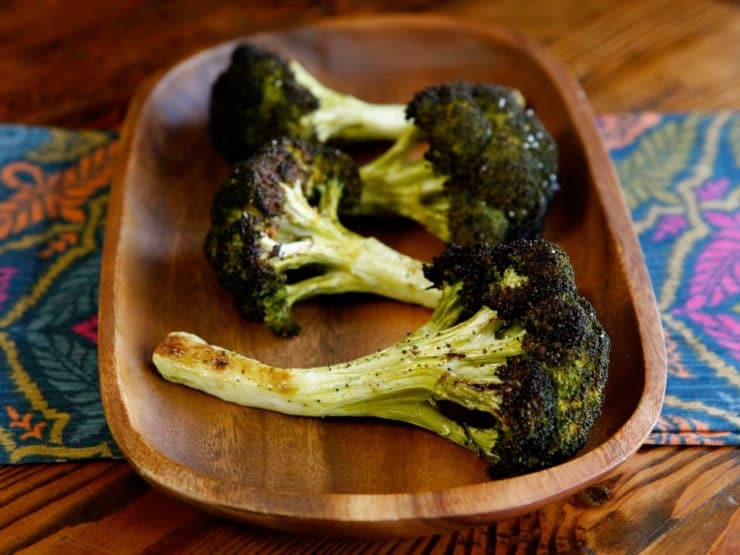 How to Roast Broccoli in Florets & Stalks – Learn to roast broccoli with olive oil, salt and pepper as whole stalks or in bite-sized florets with this step-by-step tutorial. 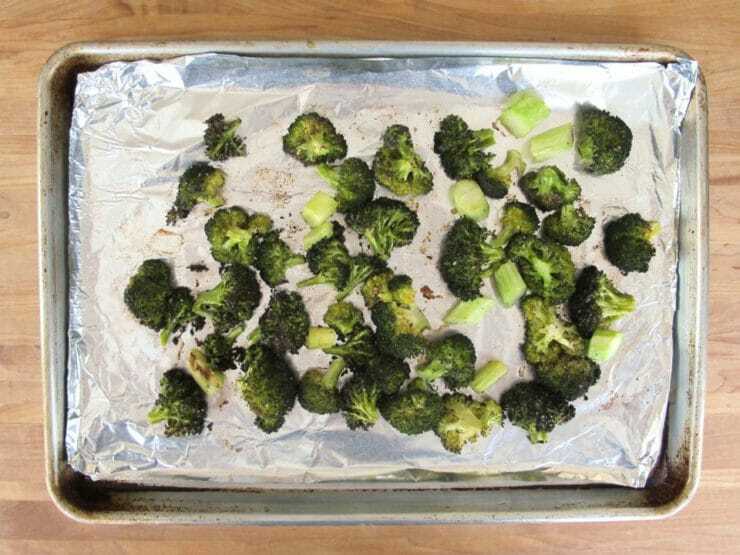 Did you know that you can roast broccoli in the oven? I’ve roasted many vegetables over the years, but for some reason I never thought to roast broccoli… it just didn’t seem like a roast-able veggie, somehow. Well, consider me schooled. What the heck was I thinking? 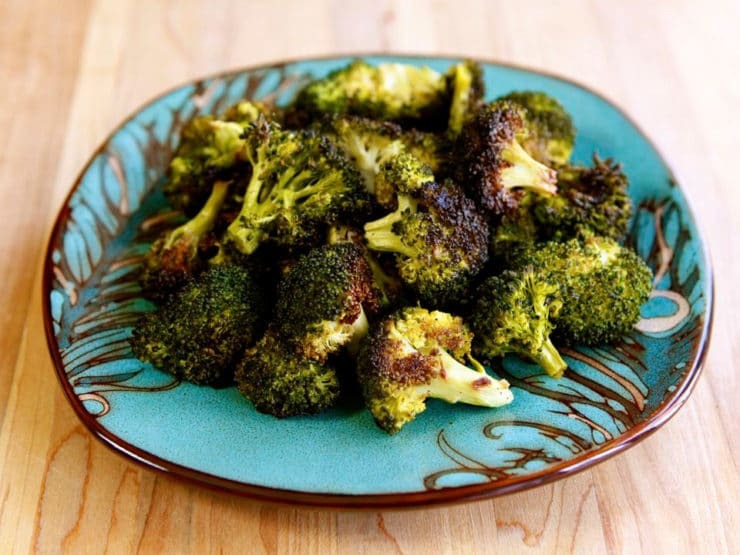 Roasted broccoli is the best thing since roasted cauliflower! I’m fully addicted to this stuff. Roasting brings out flavors in the broccoli that I never knew it possessed. The little florets become crispy on top, the stalk tender and sweet within. It’s magic! Just as vegetables are better roasted, I find food is more satisfying when accompanied by a little history. Broccoli first appeared in the Mediterranean and was popular in ancient Rome. The name broccoli derives from the Italian word brocco meaning “little branches.” In Elizabethan England it was known as “Brawcle.” Broccoli was introduced to the American colonies in the early 1700′s. Thomas Jefferson had it planted in his gardens at Monticello, and it was mentioned in a Virginia gardening book published around 1765. 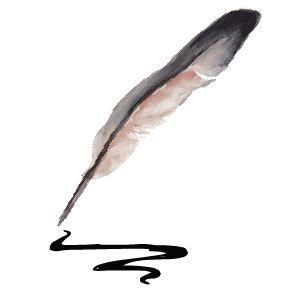 Recipes for the vegetable appear in several American and British cookbooks from the 1700′s and 1800′s. It wasn’t widely available in America till the 1920′s, when Italian immigrants began to cultivate it in California. Okay, I know a lot of you have probably roasted broccoli before, and you’re kind of shocked that I wasn’t already on this bandwagon. Forgive me. I’m behind the times. I roast all kinds of vegetables, but this one never really occurred to me. Consider me officially caught up. For those of you who, like me, never tried roasting this healthy and tasty veggie, I’ve provided a simple step-by-step tutorial below. Try it and prepare to be amazed! 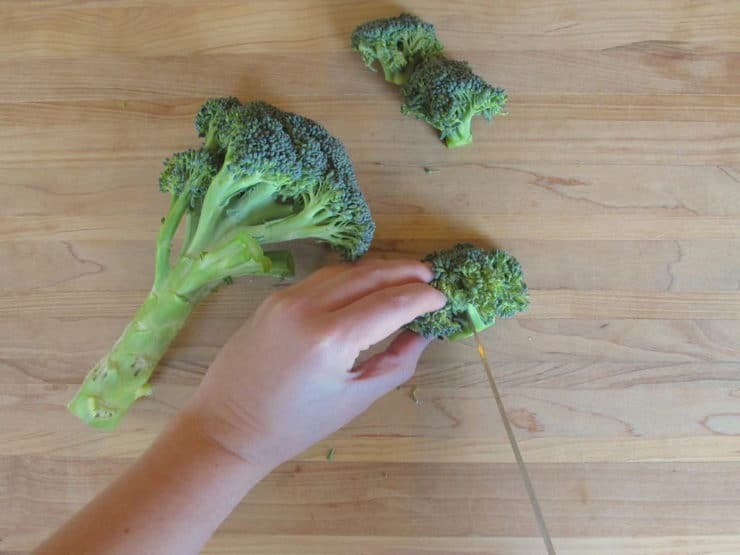 Learn to roast broccoli with olive oil, salt and pepper as whole stalks or in bite-sized florets with this step-by-step tutorial. 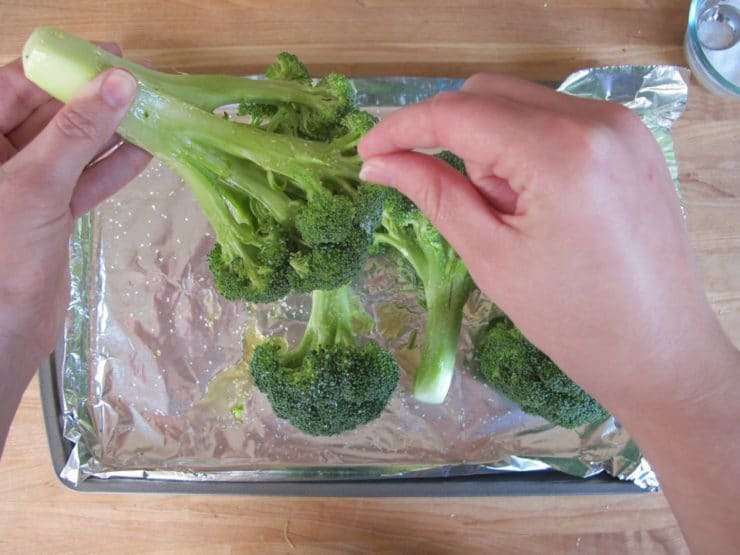 Preheat oven to 425 degrees F. If roasting whole broccoli pieces, first wash and rinse. Remove the last ½ inch of the stem, then peel to remove the tough, fibrous outer layer. 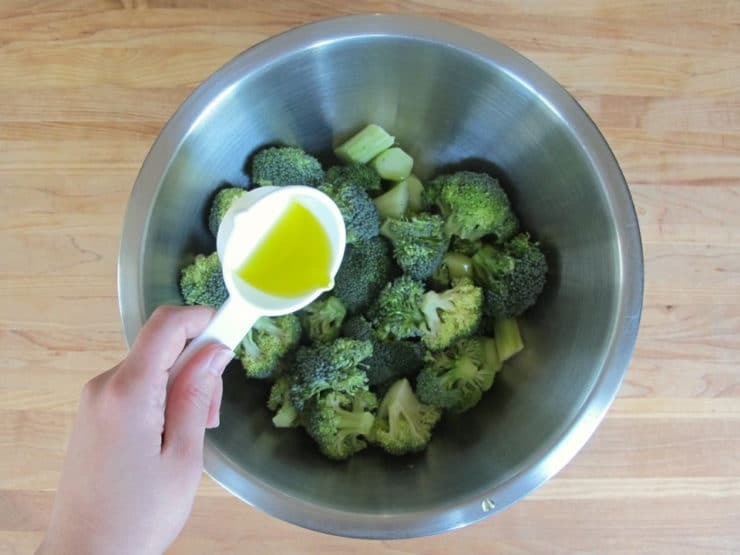 Place broccoli onto a sheet tray (lined with foil for easier cleanup, if desired) and drizzle with the olive oil, paying special attention the florets so that they are evenly covered with a thin layer of oil. Sprinkle with salt and pepper. Roast on the middle rack of the oven for about 45 minutes, or until a knife can easily be inserted into the stem. Turn the stalks over with the tongs halfway through so each side is evenly cooked. Watch it carefully towards the end, it can easily go from roasted to burned. Oven temps vary and not every oven will take exactly 45 minutes; you will learn what works for your oven. If roasting broccoli pieces, first wash and rinse. Remove the florets and cut them into smaller pieces. 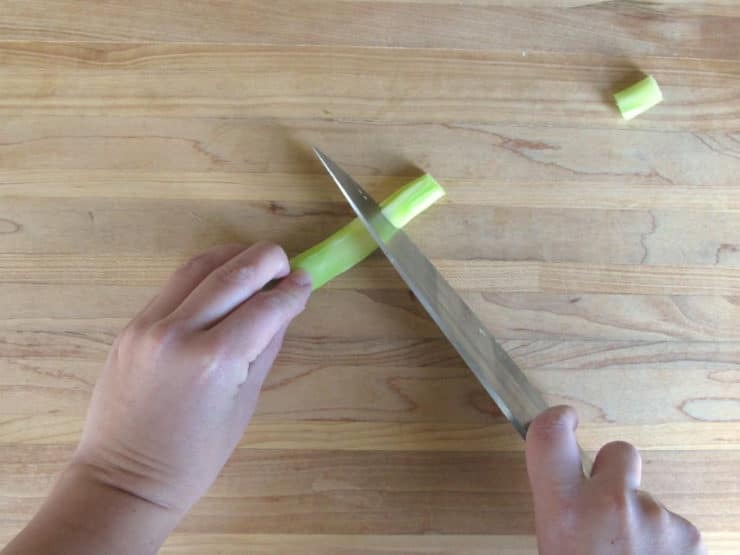 Peel the stem to remove the tough, fibrous outer layer, then chop the stem into 1-inch pieces. 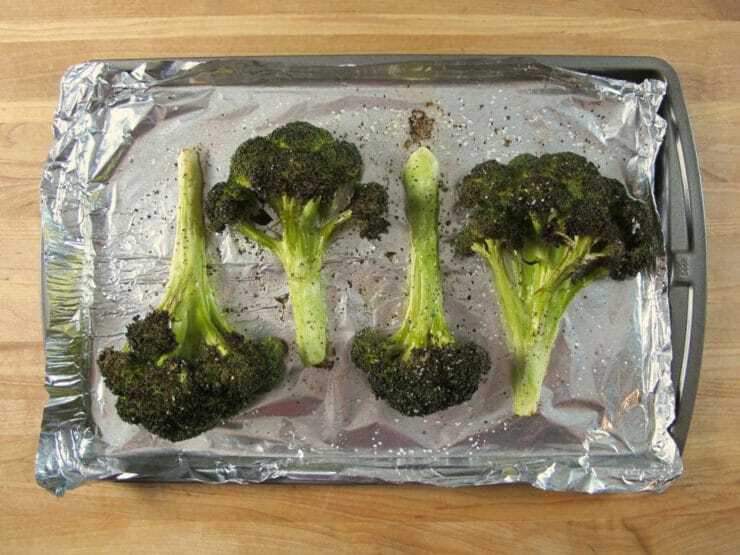 Place broccoli pieces in a mixing bowl and toss with the olive oil salt and pepper, then transfer to a baking sheet (lined with foil for easier cleanup, if desired). Roast for about 30 minutes, turning the florets with tongs halfway through cooking, till florets are tender and the crowns are crisp (tips should be browned, not blackened). Watch it carefully towards the end, it can easily go from roasted to burned. Oven temps vary and not every oven will take exactly 30 minutes; you will learn what works for your oven. Eat up. It's addictive, seriously. I had this early for dinner, broccoli, carrots, cauliflower and potatoes with olive oil, rosemary and fresh garlic. My boneless skinless chicken breasts was also marinated in the same oil mixture. Makes the house smell great too. And Brussels Sprouts, too! Yum! Done this it IS great!!! I make this all the time! My kids eat it up like candy! i do this all the time. Sometimes i roast a few carrot slices along with it. I’ve done it and love it! Thanks! Read the other comments and will try with cauliflower and carrots too. Can’t wait to try this…I <3 Broccoli!! I do it all the time…fabulous! Roast veggies have always been favorites but only recently have I had a chance to try roast beets –fantastic. I had only ever had pickled beets (mom) and never liked them so I was real unsure about roasted ones but drizzled with olive oil and oven roast along with potatoes, onions, mushrooms, and broccoli and you have a winner. try slicing a lemon thin and place the slices on top with whole cloves of garlic…nutty and tangy! I do this all the time. I have yet to meet a veggie that isn’t fabulous roasted! Toss in a few whole cloves of garlic… delish! Can be done with cauliflower and halved brussel sprouts too. My favourite vegetable this way is brussel sprouts! I do almost all of my veggies this way. I used parchment paper rather than foil. I use Mrs. Dash (no salt) rather than salt and pepper. It’s yummy! Been doing this for years. Love the taste and texture. Yum. I do this s lot. Use broccoli, cauliflower, mushrooms, carrots, onion, whatever. With a bit of balsamic vinegar-good stuff! And sliced brussel sprouts! Very timely, Tori! I just bought some broccoli this evening. Now I have another way to fix it! Just did that for dinner tonight, then sprinkled with a little lemon juice and parmesan cheese…to die for! Thanks for posting. We will try it and compare to steaming. I’ve done it and it’s great! Wow, looks great! I will try this. What about Brussels sprouts? We often make this. . . especially when Happy Rich broccoli is in season Suzie’s Farm! Melissa James introduced me to it! It completely changes it!!! Makes it sweet and wonderful! Just learned it this past summer! I have Char Broil infra red grill and grill Everything. Do you think Broccoli would work? barely steamed with lemon . This is an aquired taste. From someone who roasts almost everything. We do this all the time, beats steaming by a mile! We learned that from Austin’s Easy Tiger ! Can’t eat it any other way anymore! Squeeze lemon on it! Thank you! Will be trying that one immediately! We do this all the time. Dredge the broccoli in olive oil with some balsamic vinegar and sugar for extra browning and flavor. I’ve done broccolini but don’t think I’ve made it like that per se. I love your plates and recently saw some vintage glasses at a local online yard sale that would go amazingly well. Love that plate as well. What brand and where did you find it? Trying the roasted broccoli with steaks and butter steamed potatoes tonight! This is the only way my 5 year old son will eat it. It is the best! Amazing w/ truffle oil, pink salt and fresh cracked pepper and a small amount of parm cheese! Interesting history about the word broccoli. My son used to call them tree stars from a dinosaur video. Cauliflower, too — even cabbage! Seriously addicted to roasted broccoli. It’s like candy. I’ve discovered roasted cabbage. I love it! Roast it all the time. Yummy!!!!!!! 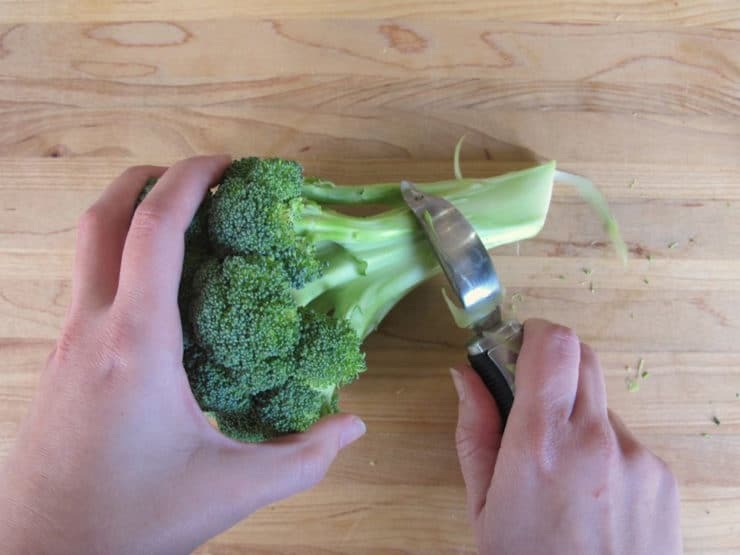 It’s the best way to make broccoli. Seriously good. Love broccoli, I’m going to have to try this. Roasting is my favorite way of eating broccoli. I sometimes add a little balsamic to the mix. So yummy! I make this for my hubby and son at least four days a week. Yummy add carrots too.. I only do it this way – cauliflower too. Gets rid of that ‘broccoli’ smell. Add cauliflower and fennel along with the broccoli….delicious! My most favorite way to have it! It really is!!! We do a lot, often with cauliflower too 🙂 I rarely make rice with curry anymore – I roast cauli and broc with some garam masala and ghee – delicious! I do it all the time…with butter and onion soup mix.